“Revy” is a pony who’s worth his weight in gold! 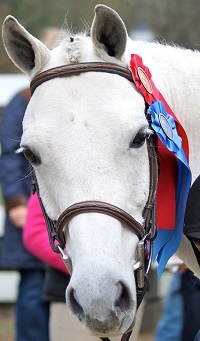 He’s a very fancy hunter pony and an extremely reliable, trustworthy mount for our beginner riders and lead liners. Revy doesn’t have a mean bone in his body and will do anything for anyone.